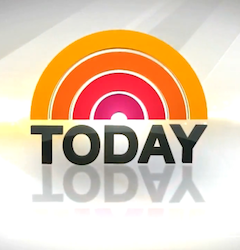 Today, I added five recent themes from NBC’s Today Show to the website. The current open that has been in use since 2004 is now finally online, along with the current and previous headline beds. I also added some special opens for last year’s British royal wedding and this year’s election. The Today Show has a very nice orchestral sound that distinguishes it from other morning shows. ABC’s Good Morning America tends to use themes these days that have a big and bold sound. Their main theme is percussion based which gives the show a hip and edgy feel. CBS’s themes are mostly understated. This Morning uses a nice composition but not one that particularly stands out. CBS News uses theme music in the way network news used it years ago: very sparingly. NBC on the other hand takes its cues from John Williams’ The Mission. When Today uses a special open, it is usually a grand sounding orchestral theme by Non-Stop Music. This is not just the case among morning shows; network news music in general has become more differentiated. Just a couple of years ago, news theme music across the networks wasn’t that different. CBS, ABC and NBC sounded much more alike. CBS was using James Horners theme package. While it certainly had a distinct sound (maybe not newsy enough?) it gave competition to NBC’s The Mission for sounding regal and grand. News theme music tended to start out with loud drums to serve as a reminder that the broadcast is about to begin. It then continued on with lots of brass playing the recognizable thematic elements that are essentially branding. Underneath it all was a layer of strings that added a dramatic sound that also communicated urgency. This was the prototype for news theme music for many years. Not anymore today. This comes at a time when the network news divisions are differentiating themselves more in terms of content. CBS has become the champion of hard, ABC specializes in the lighter fare and NBC is somewhere in the middle. “For the first time in the history of the iconic evening network news broadcasts, all three are trying to present clear choices, built around the very different identities of their anchors,” wrote network news veteran Paul Friedman in a recent article in the Columbia Journalism Review. It’s interesting to see that change reflected in their theme music. Love NBC’s Today Election theme, especially during their 60th anniversary. I believe that this theme should be used as their regular theme. I reckon NBC does a terrific job to put you to attention to their news broadcasts, especially with Nightly News, the deep and hard-hitting headline bed and even how Brian addresses you “Nightly News begins now” then entering the grand and recognisable nine note theme that were all familiar and comfortable with. So I commend NBC News with their terrific job at putting together a fine broadcast.